Unless you’ve had your head buried in the sand, you’ve noticed a significant rise in the number of accounts that have been hacked. From banks to email to Google to social networking, nothing is safe from the nefarious actions of hackers and ne’er-do-wells wanting to get your bits and bytes of data. If you’re using the standard methods of authentication, you are at risk. That is why it is imperative that at every opportunity you take advantage of two-step authentication. Fortunately, any Facebook user can employ two-step authentication. 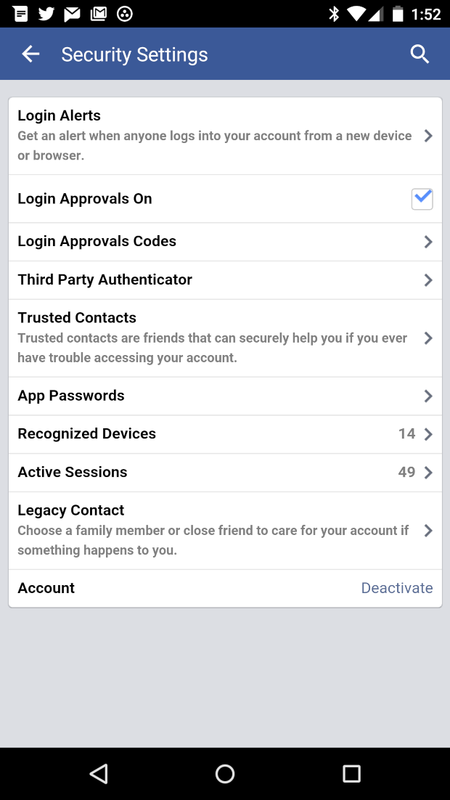 You may assume you’ll need a third-party app to enable two-step authentication for Facebook, but you don’t — the Facebook app has a built-in authenticator. Once enabled, anytime someone attempts to log into your Facebook account from a mobile device, a code will be sent via SMS to the device you used to set up two-step authentication. If someone attempts to log into your Facebook account via a web browser, they will need to have a code generated by the Facebook app that is logged into your account — in other words, your mobile device. Open the Facebook app on your Android device and tap the Menu button. Scroll down until you see the Account Settings button; tap that and then tap Security. You should see a listing for Third Party Authenticator (Figure A). Tap Third-Party Authenticator and then enter your Facebook account password. Tap Continue and then tap Set Up Now under On This Device. You will be prompted to save a key for your account. Tap OK, and your default two-step authenticator app will open. Go to a browser (not on your mobile device), open Facebook, log into your account, open Settings, and tap Security. Click Login Approvals and then click to enable Require A Security Code To Access My Account From Unknown Browsers. Click Get Started (Figure B). Click Close, and you’re good to go. Open the Facebook app on your smartphone (the one used to set up two-step authentication). Tap the Menu button (three horizontal lines). Scroll down to locate and tap the Code Generator. The app will give you a code that is valid for 30 seconds. Enter that code into the browser (when prompted), and you will gain access to Facebook. 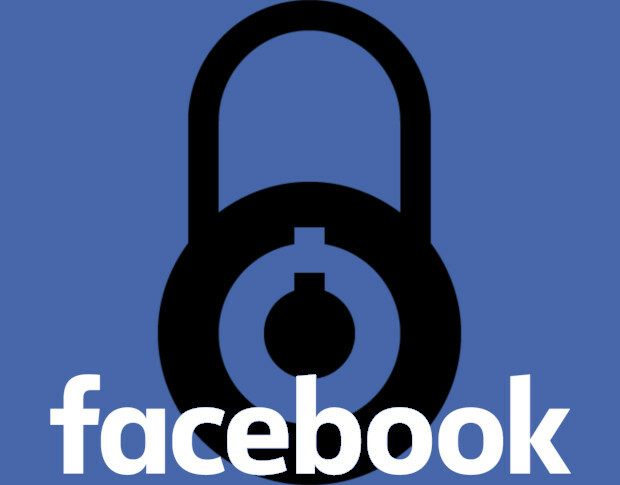 Another added bonus for setting this up is that you will always be notified via your Facebook account when someone attempts to gain access to your account. 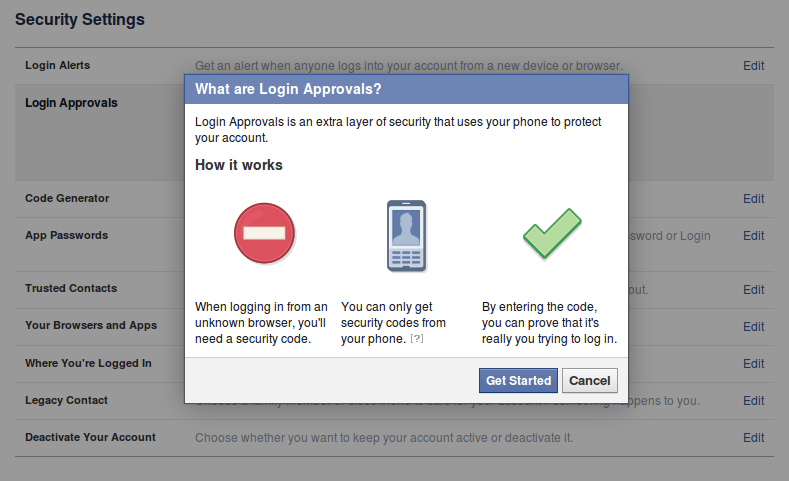 Anytime a service offers two-step authentication, you should take advantage of it, and Facebook is no exception. Facebook accounts get hacked every day — don’t let your personal or business account be next.